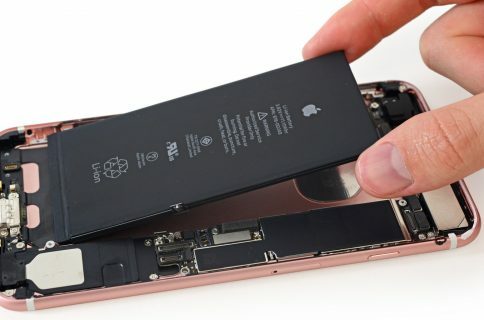 Low Power Mode is a feature geared towards saving battery life in iOS, but it’s probably not a feature that you’ll necessarily want to keep enabled at all times. That said, data does support the fact that Low Power Mode results in significantly better battery life. 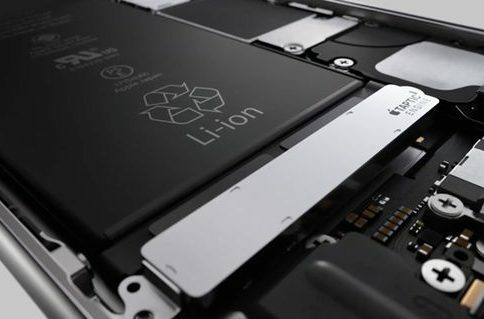 But instead of using Lowe Power Mode at all times, which takes the reigns to try to reduce battery usage by itself, you can manually configure your iPhone in such a way to optimize battery life. Keep in mind that this list is subjective, and everything on it is optional. I wouldn’t expect any of you to apply all 12 of these suggestions. Instead, mix and match features that seem to work for you and your usage style and requirements. 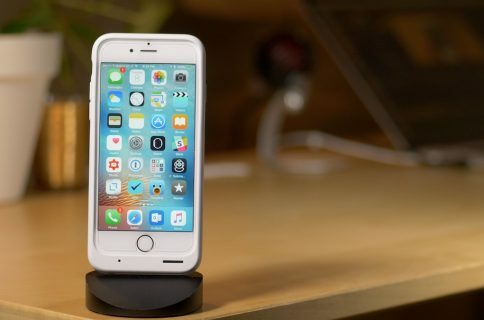 Read more to find out different ways you can save battery life on your iPhone 6s. 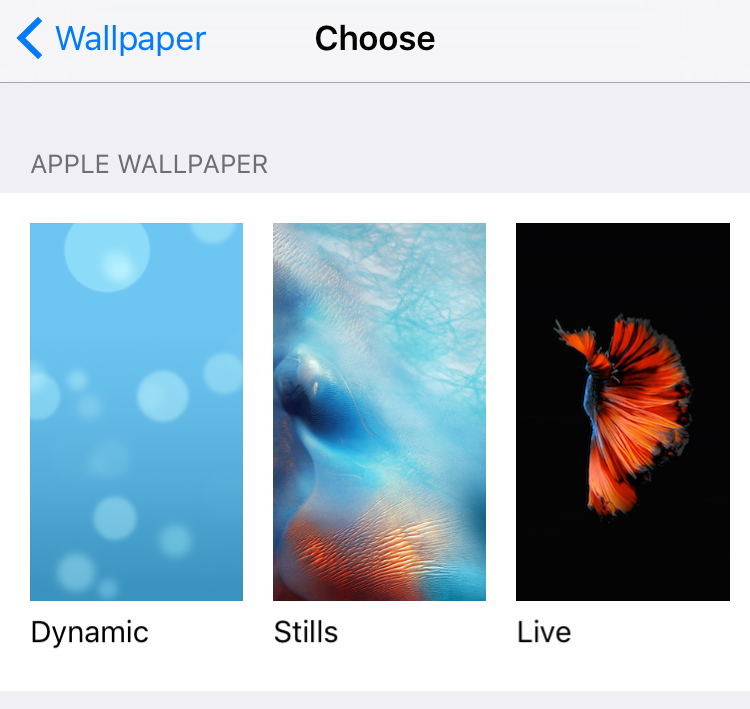 Go to Settings → Wallpaper → Choose New Wallpaper and select a Still wallpaper instead of a Dynamic of Live wallpaper. 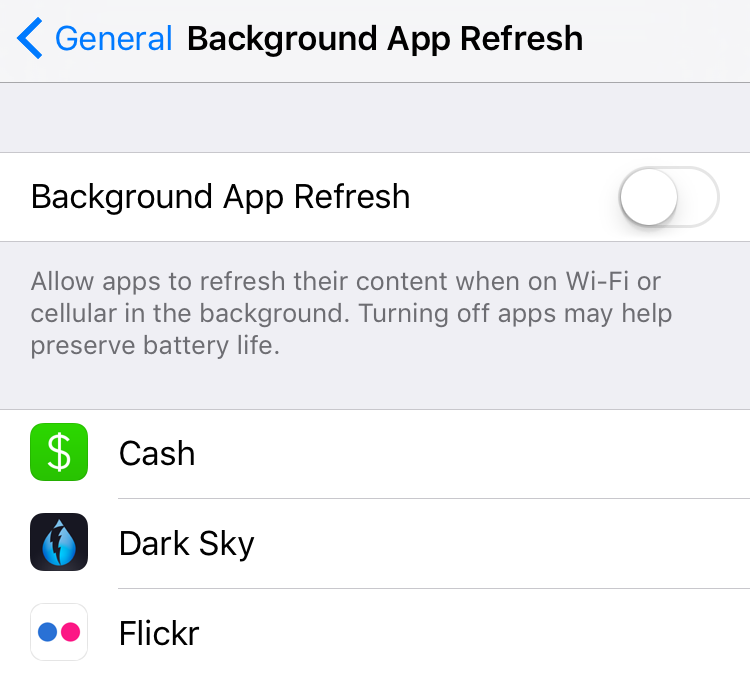 Go to Settings → General → Background App Refresh and disable the Background App Refresh Toggle. 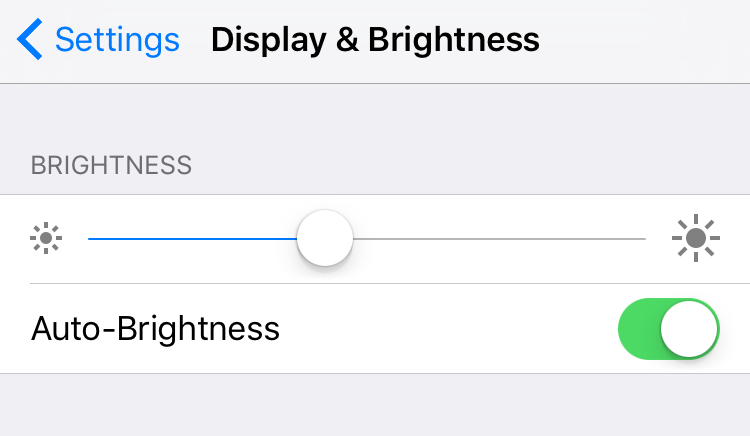 Go to Settings → Display & Brightness, and enable Auto-Brightness. 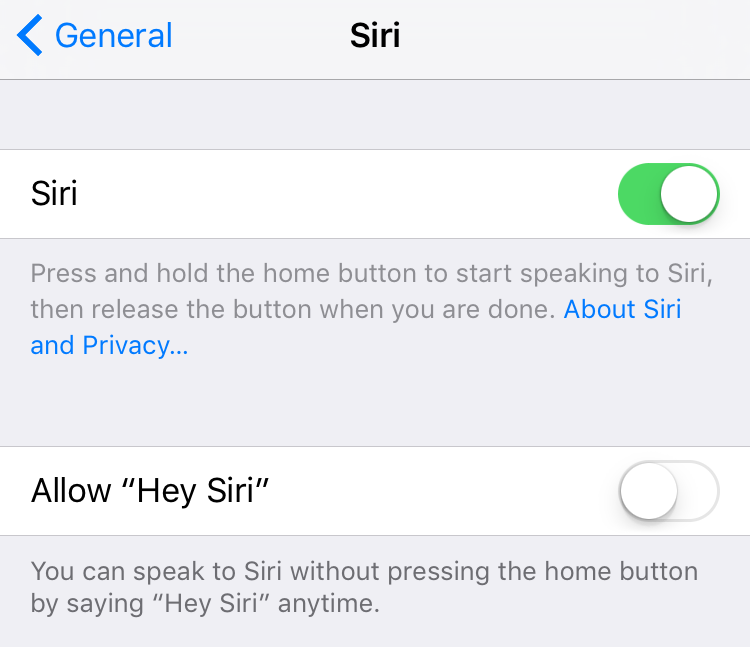 Go to Settings → General → Accessibility → Reduce Motion, and toggle on the Reduce Motion switch. 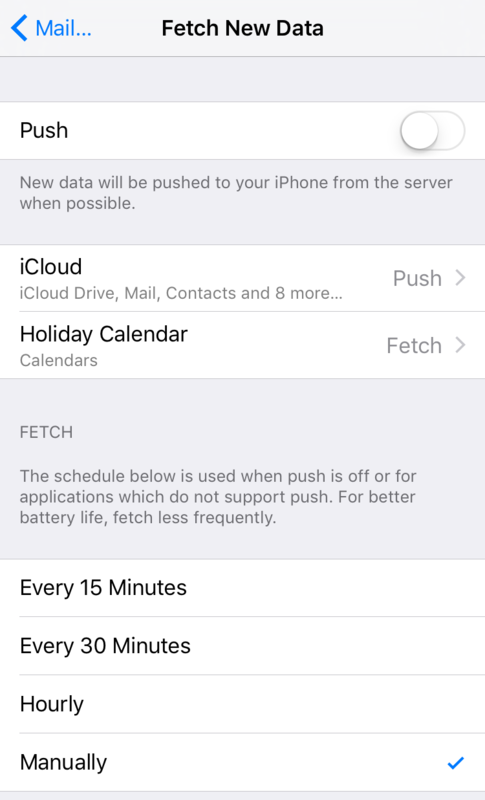 Go to Settings → Mail → Accounts → Fetch New Data, and disable Push and select Manually for Fetch. 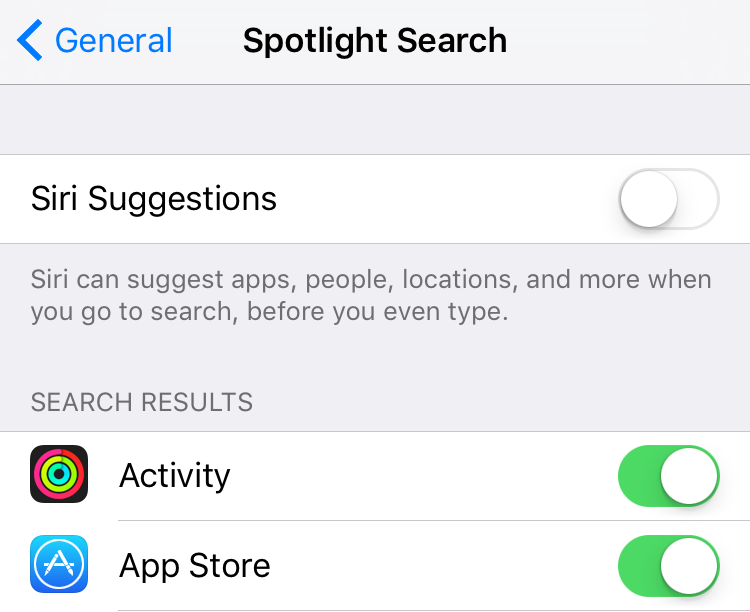 Go to Settings → General → Spotlight Search, and disable the Siri Suggestions switch. 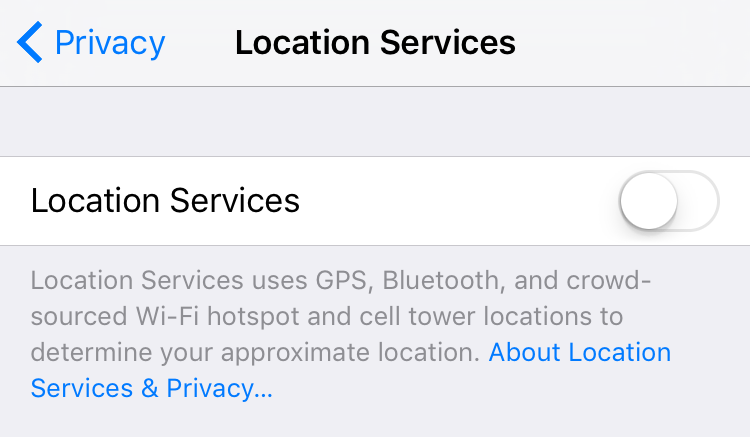 Go to Settings → Privacy → Location Services, and disable the Location Services switch. 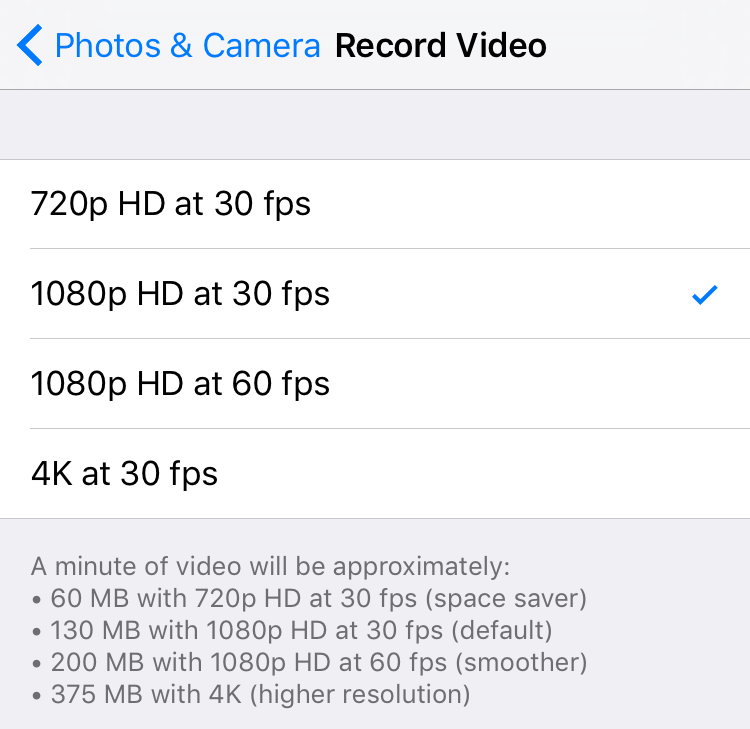 Go to Settings → Photos & Camera → Record Video, and select the 720p HD or 1080P HD option for 30 fps. 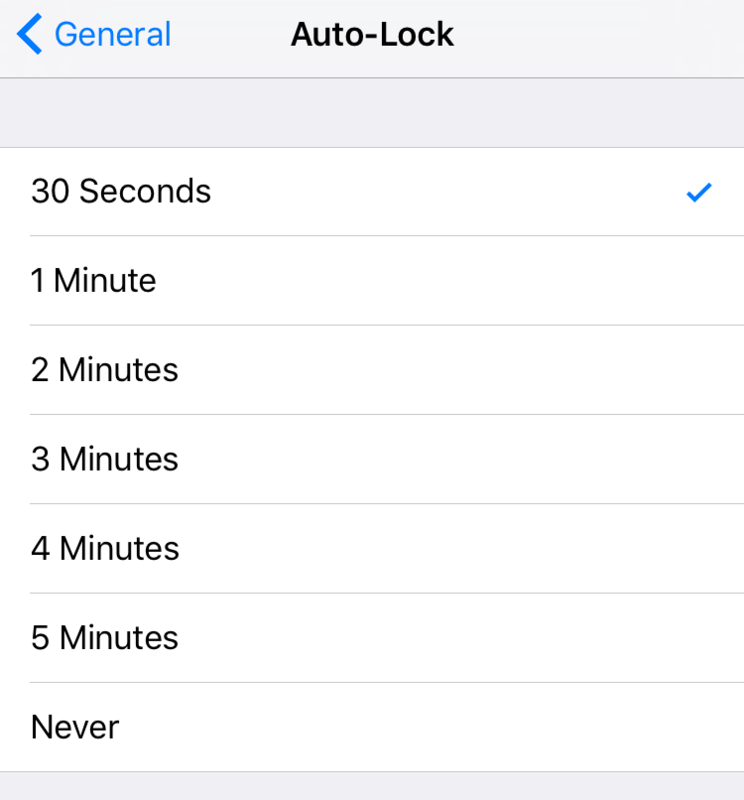 Go to Settings → Display & Brightness → Auto-Lock, and select 30 Seconds. 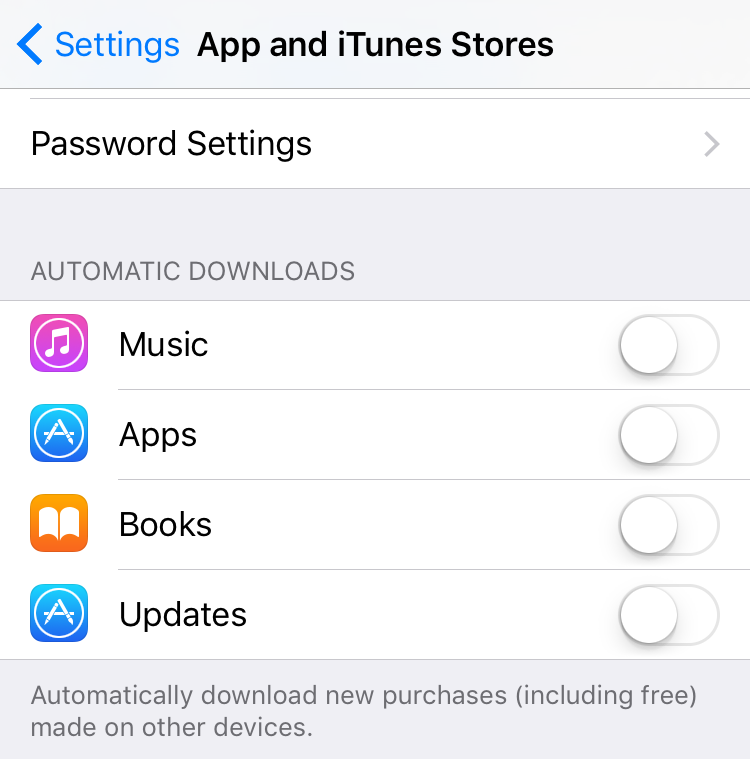 Go to Settings → iTunes & App Stores, and disable all toggles under Automatic Downloads. 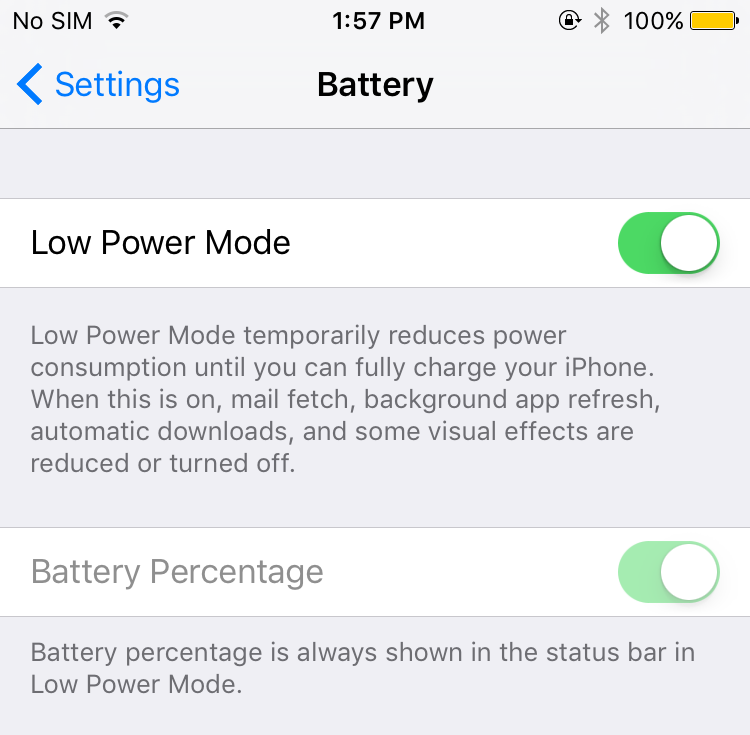 Go to Settings → Battery and switch on Low Power Mode. As mentioned at the outset, when push comes to shove, you can always enable Low Power Mode and save lots of battery life without messing with a lot of different settings. 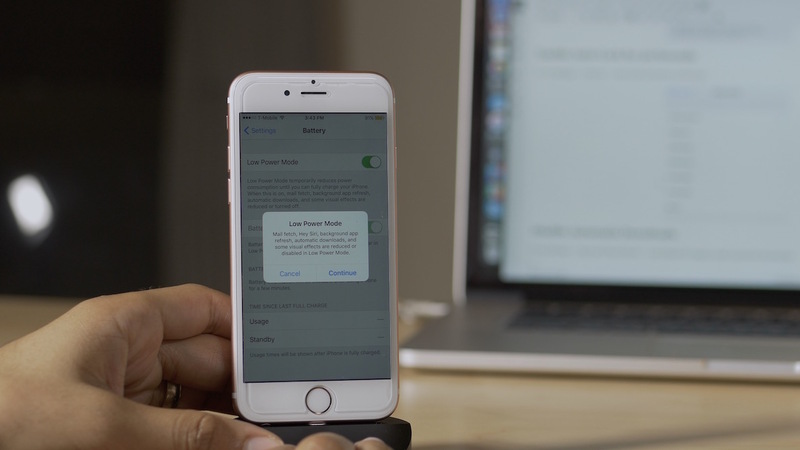 Low Power Mode is an appealing option, because it allows you to enable many of the aforementioned settings with a single toggle. It also won’t touch things like Location Services, which some people may feel is a little on the extreme side of the battery saving mission. You can always go to extremes when it comes to saving battery life. My goal was to try to keep the iPhone moderately useful despite my battery saving attempts. For that reason, you won’t see me disable things like Bluetooth, Cellular, enabling greyscale mode, etc. I’d like to save battery at times, but not at the expense of every feature on my iPhone. What battery saving tips and tricks do you have? Please share them with us.